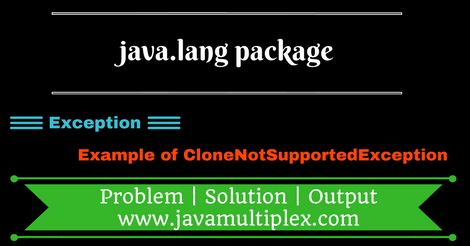 CloneNotSupportedException is a class present in java.lang. * package and has following class hierarchy. * not implemented Cloneable interface.